Is there any greater joy for a jazz musician than sharing part of his knowledge ? 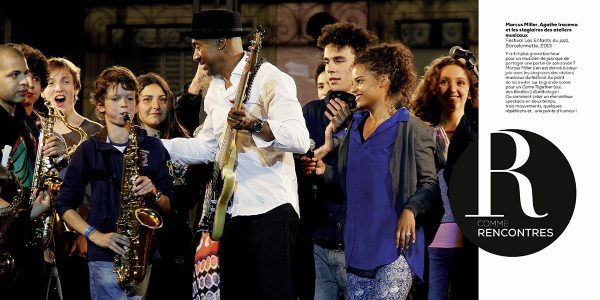 Marcus Miller had a field day with the trainees in the Festival’s music workshops. To the point of inviting them onto the main stage for a Come Together (yes, the Beatles!) anthology. Or how to create a wonderful show in two tempos, three movements, one or two rehearsals and… a dash of wit !